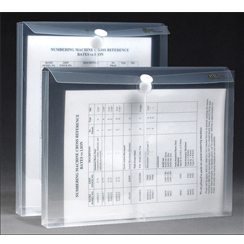 These polyenvelopes are a durable way to organize and protect you papers. They are available in different sizes and colors. Vel-Close-R Envelopes Horiz. Legal 6pk.